Disclosure: I received this product from MyVapeDeal for review. This review contains affiliate links. Available in black or white from MyVape Deal. Click here to see options and pricing. 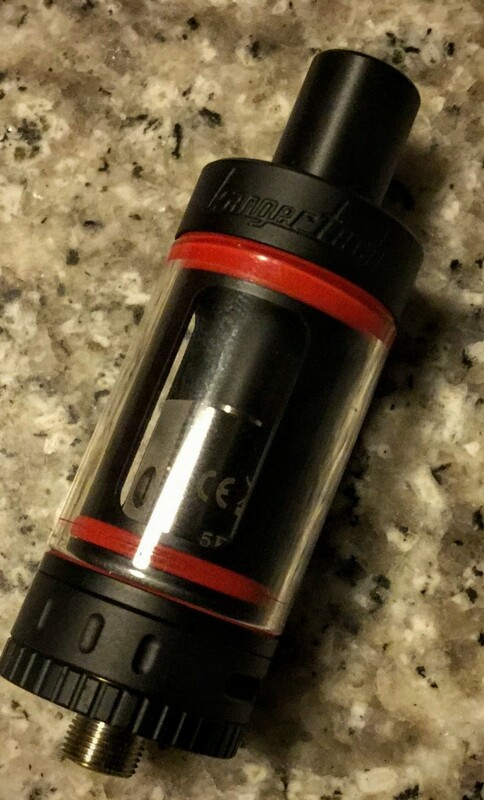 Kanger is a well-known brand and I’ve reviewed many of their products over the years, particularly tanks, and even cartomizers back in the day. They also do APVs, and the new Subox mini is one example. The name kind of says it all. It’s sort of a box, it can run sub ohm tanks and it’s small. Really it’s not a whole lot different from some of the other mini APVs I’ve reviewed. The only notable exception is that this battery has a replaceable battery instead of a built-in power cell. Many people prefer a bring your own battery solution, so this will surely please them. The battery door is even well implemented. Rather than a little screw cap on the bottom, one of the short sides of the box serves as the battery door. It uses strong magnets to hold everything in place. There’s even a cut-out Kanger logo on the door to serve as the vent. Much more styling than the typical series of holes on an endcap. The box is otherwise fairly plain. It’s a rounded box, so it’s more like an oval than a box I suppose. The fit and finish is great, with no hard edges. 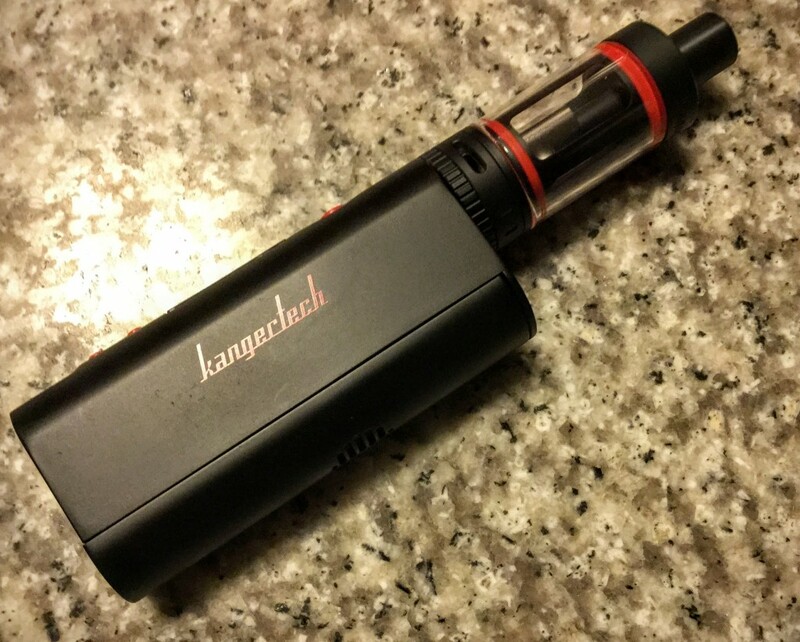 There’s a silk-screened kangertech logo on the side of the APV, but otherwise there’s no adornments. You’ll find the typical array of controls on the front (or maybe it’s the side) of the box. There’s a small OLED screen in between a fire button and two vertically aligned adjustment buttons to adjust the wattage. One small note on adjusting wattage. I like it. Typically, devices like this take a while to adjust the wattage because going from something like 3 to a billion in .1 watt increments takes a while. 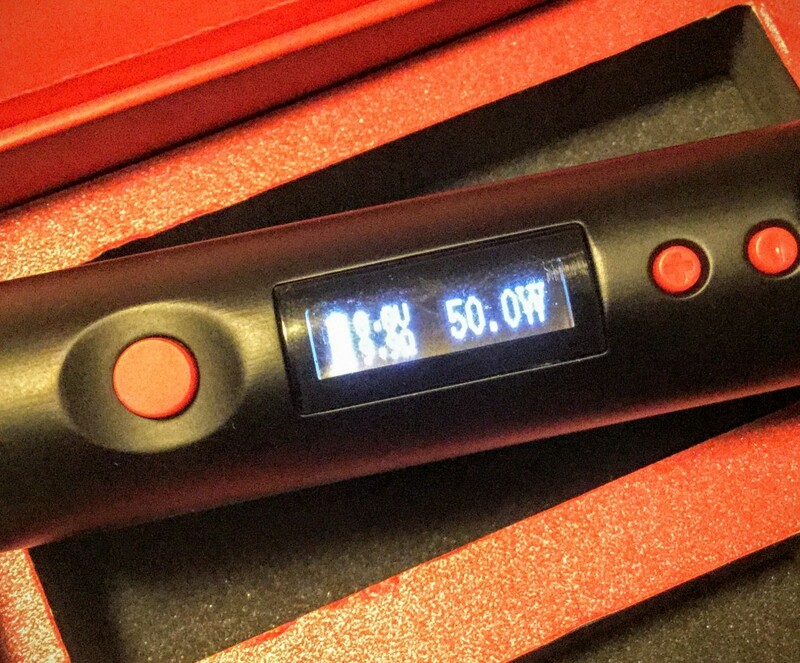 On the Kanger, when you hold the button down to adjust, it will switch to incrementing in whole watts after a second. This is a welcome feature. Another nice touch is that there is a USB charging port beneath the adjustment buttons. You can choose between charging via a micro USB cable or using a traditional desktop 18650 charger for faster charges. While the Subox is sold in kit form, you have to provide your own batteries. You’ll want high-quality batteries with a high amperage limit to get close to the device’s 50 watt maximum capacity. The kit is otherwise well equipped. You get the Subox, and a complete Subtank Mini with the complete assortment of heads, including Kanger’s innovative RBA head if you really like to coil your own. Normally, I’d toss in a brief review of the included tank, but it’s essentially like the bigger subtank and you can read that review if you want to find out more. Rounding out the kit is the obligatory micro USB cable, tiny screwdriver and some Japanese cotton. Performance-wise I find no faults with the Subox. It’s easy to use and has more than enough reserve power for about anything I vape including the more power hungry sub ohm tanks. Battery life will vary depending on the capacity of the batteries you use. I find that the devices that use 18650s like the Subox don’t last quite as long as the devices that have bult-in power. They seem to be able to fit more battery into the space. There’s a lot of small form-factor APVs out there. Kanger’s isn’t the smallest. Nor is it packing a wild design. But, it’s a competent device that people who like to use their own batteries will appreciate. The fact it comes with a Subtank mini and is fairly inexpensive should get everyone else’s attention. Check it out now at MyVapeDeal. I see this as a very masculine looking device. I would get one if there were more color options.